Finding ourselves on a beautiful sunny autumn day in Greytown we decided to walk the Heritage Tree Trail. 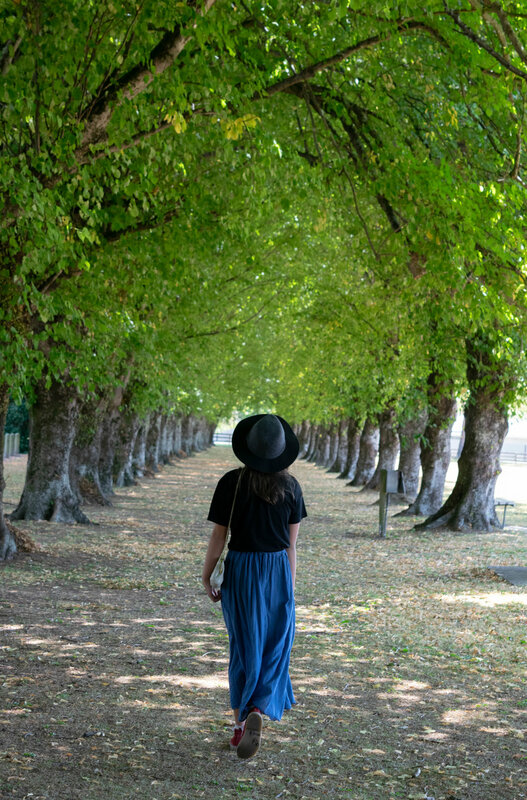 Greytown was the first town in New Zealand to celebrate Arbor Day and as a result boasts an array of fascinating historical, sentimental and stunning trees dotted throughout the village. Our first stop was at St Luke’s Church where you cannot possibly miss the imposing famous Greytown gumtree. As the story goes, Samuel Oates carried the seedlings over the Rimutakas in a wooden wheelbarrow in 1856. The strong Eucalyptus scent was strong and heady in the warm autumn sun. From there we crossed over to West Street and took in the shade of one of the large Oak trees. Dating back to 1860s these magnificent oaks were planted by early settlers from acorns. Walking to Kuratawhiti Street, we passed families playing in the playground, taking advantage of the beautiful sunny autumn morning. We continued to the cricket field where an avenue of lime trees was planted to commemorate those servicemen who died in WWI. As we walked through the limes trees, we took a few moments of contemplation for those who lost their lives. Heading back into the village we picked up a takeaway coffee from Offering and continued down Main Street through the bustling town of shoppers, cafe goers and fellow site seers. We stopped outside Emporos to admire some more beautiful lime trees that were planted in the 20th Century outside what was then the BNZ building. We carried on past the pin oaks outside the Town Centre (where you can also take a toilet stop) to Stella Bull Park. In 2017 artist Niko Thomsen was commissioned a sculpture to celebrate the Cabbage trees in Stella bull park. We decided it was time for lunch and found ourselves conveniently outside the White Swan for a cold drink and something fresh to eat. We enjoyed taking in the sites and sounds of the village on foot and learned a little of the history. 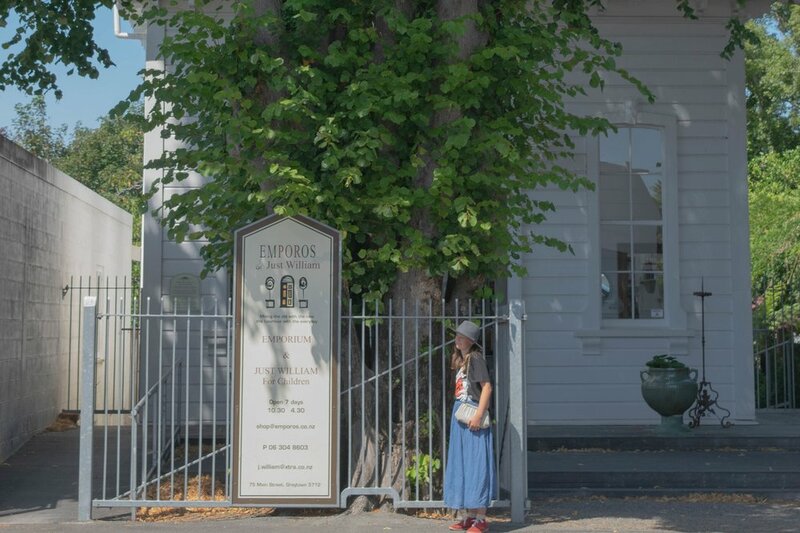 This self-toured walk of Greytown and it's rich historical background is highly recommended for families, couples and individuals alike.